Reports allow you to organize, filter, and sort your data based on certain criteria, and export this data into Excel or another program for further manipulation. 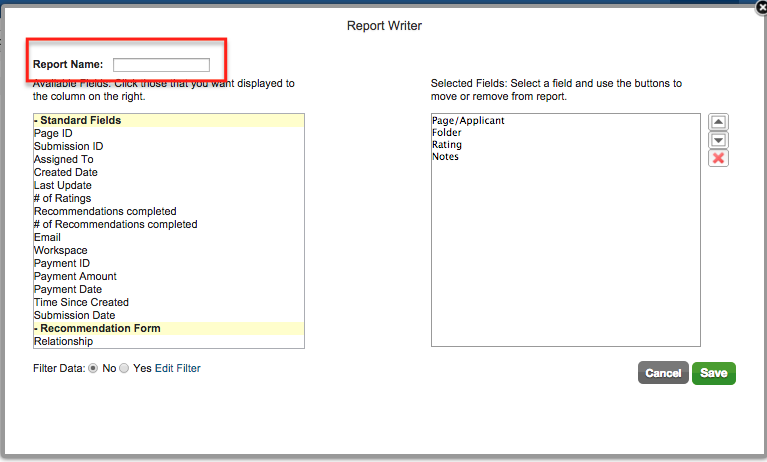 Here's how to create a basic report. 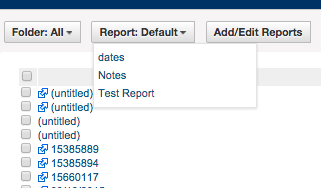 If you do not see the Reports tab active in your workspace, go to Manage Tabs in order to do so. 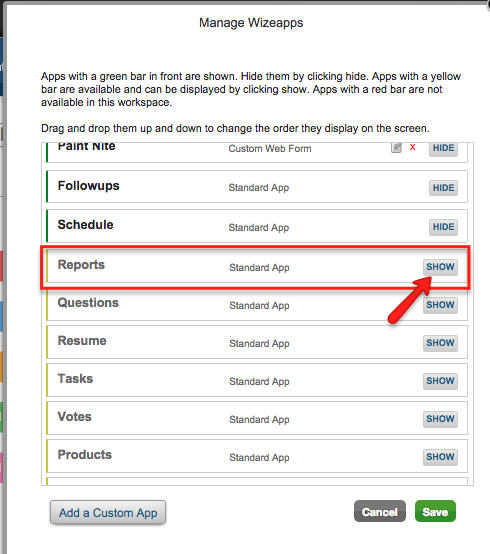 Find the Reports row and click Show, and then Save, in order to activate this feature. Go to the Reports Tab of your workspace. You will see this default screen. 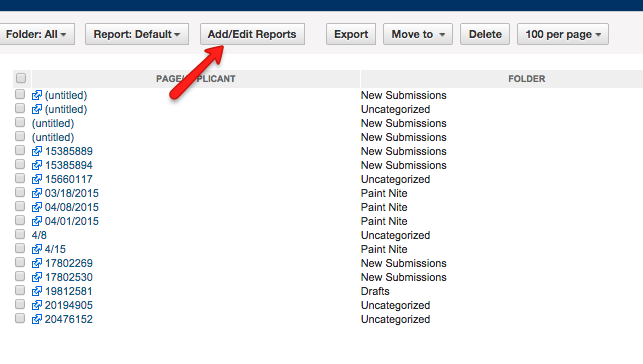 Click the Add/Edit Reports button. On the following screen, click Add a Report. On the next screen, name your report. Name it something meaningful that will make sense to anyone who may be a member of your workspace accessing these reports. 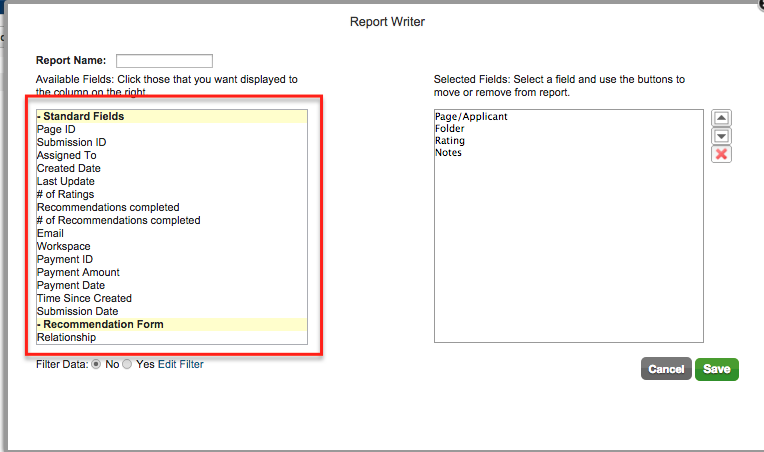 On the left hand side, you will see all fields that you can add to your report. These are fields from every form that exists in your workspace. 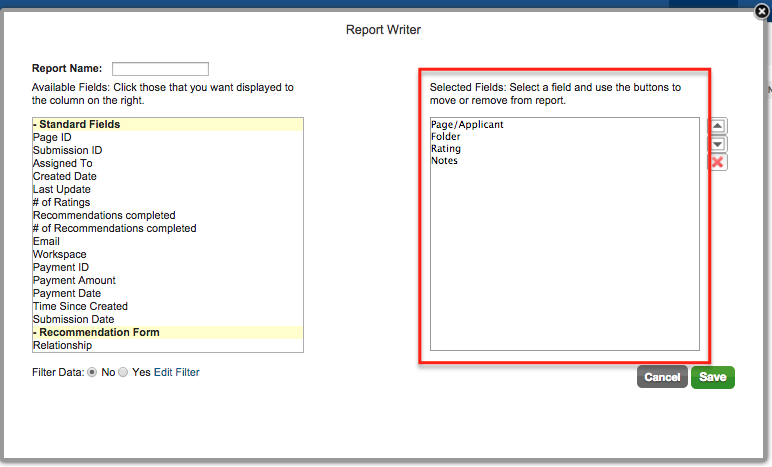 On the right hand side, you will see fields that already exist in your report. 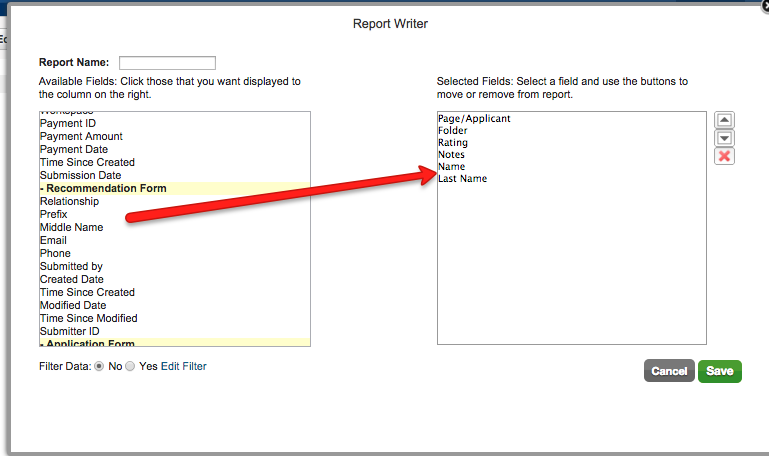 To add fields from the left to right, into your report, simply click the name of the field. You will see the field disappear from the left and appear on the right side. To remove fields, highlight the field on the right and click the X button. 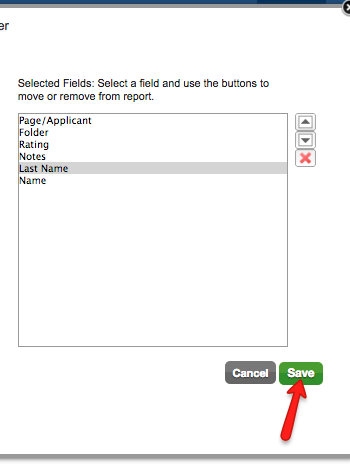 To reorder fields, highlight the field and use the up and down arrow buttons. Click Save in order to save your report, when you are ready to do so. On the default reports screen, you should see a button on the top, second from the left, called Report. Click this button to see all reports in this workspace. Your new report should be in this list. Ours is called Test Report and is seen here now. Clicking Test Report will pull up our newly created report and switch from the default view to this. You can sort any column alphabetically/numerically by clicking the column header. You can filter down to a particular folder by clicking the first button from the left, called Folder, and selecting the folder name.